Developing an operational Integrated Flood Forecasting and River Monitoring system for the Muar River. Leonore Boelee is the lead FloodWorks modeller for developing an operational Integrated Flood Forecasting and River Monitoring system (iFFRM) for the Muar River Basin, using national network, telemetric and radar data and the Floodworks software (predecessor to ICM Live). The catchment is characterised by rainforests and managed agriculture plantations, but is now seeing increasing urbanisation and deforestation, resulting in increased risk of flash flooding and soil erosion. This work is being undertaken for Department of Irrigation (Jabatan Pengairan dan Saliran Malaysia), Malaysia, in association with Pinnacle and HDL Solutions. 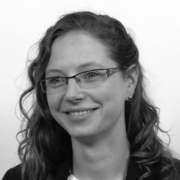 Leonore Boelee is a hydrologist, with skills in hydrology, flood forecasting, drainage and water resources management.